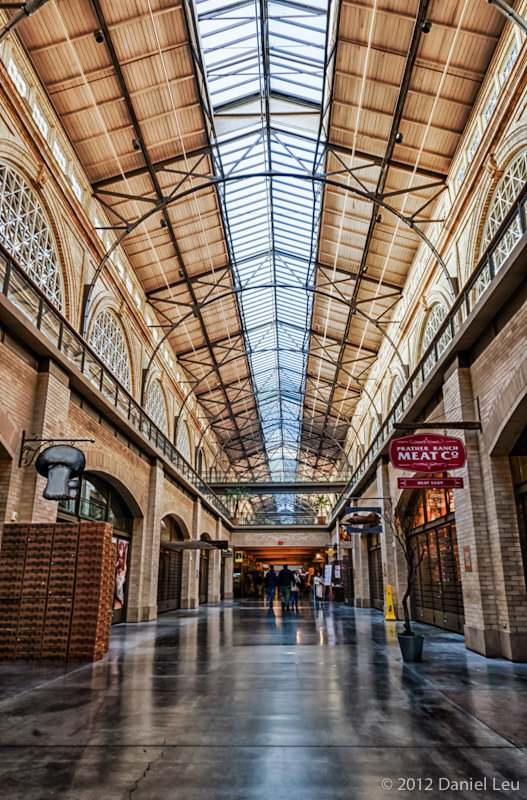 I took this picture this past Sunday while shopping at San Francisco’s Ferry Building. At one point, it seemed that everyone was leaving the scene. So I took advantage of it to capture this empty indoor market.